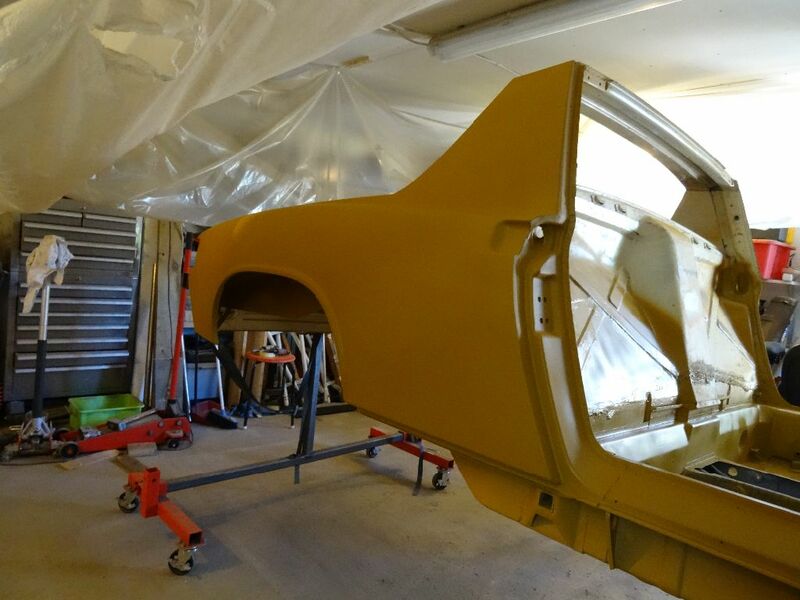 so here’s a big old catchup post on what’s been going on since the last post. 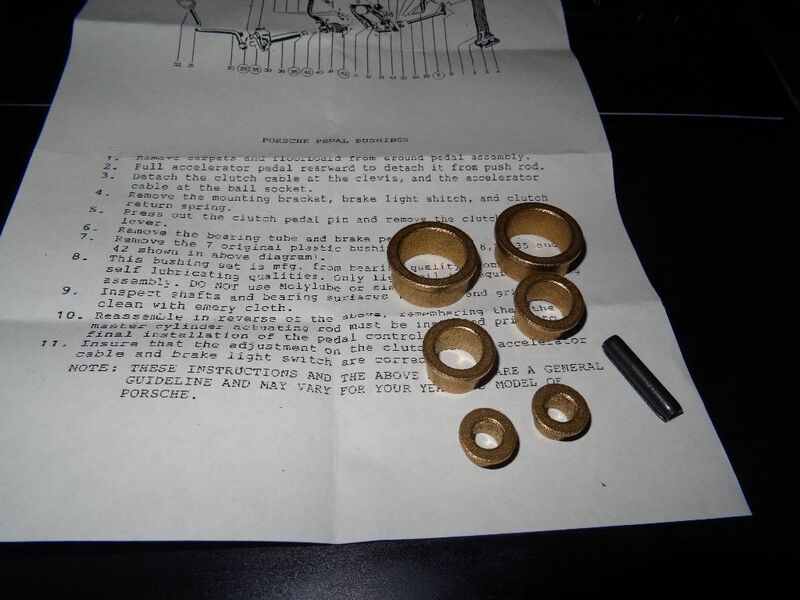 New bronze bushings for the pedal assembly. 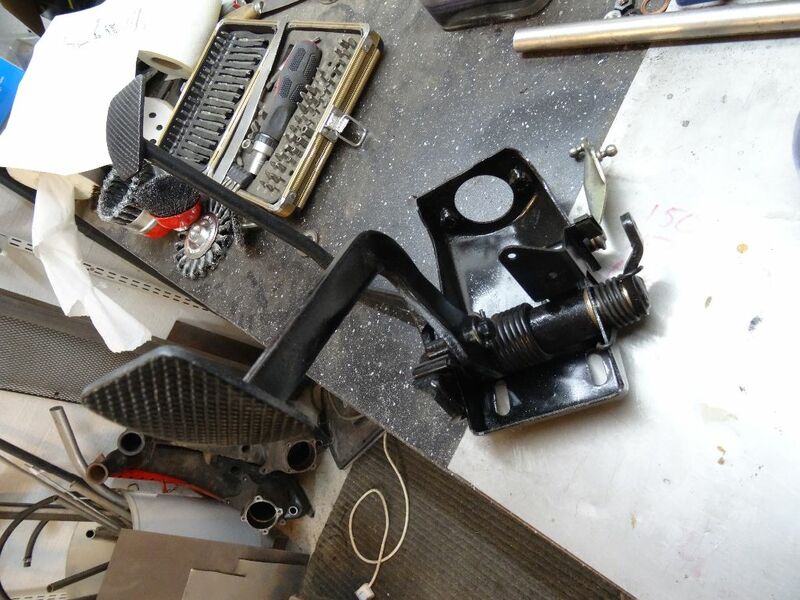 Cleaning up the wheelwells wasnt a fun job. 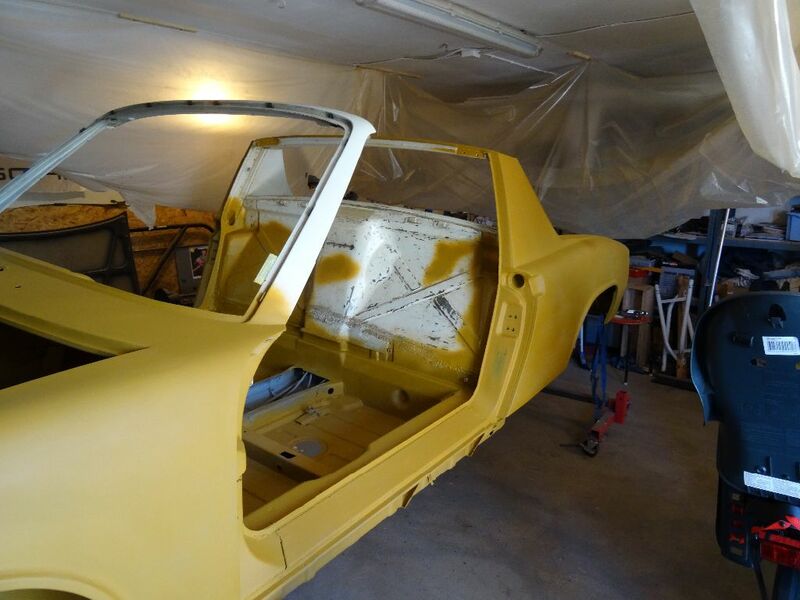 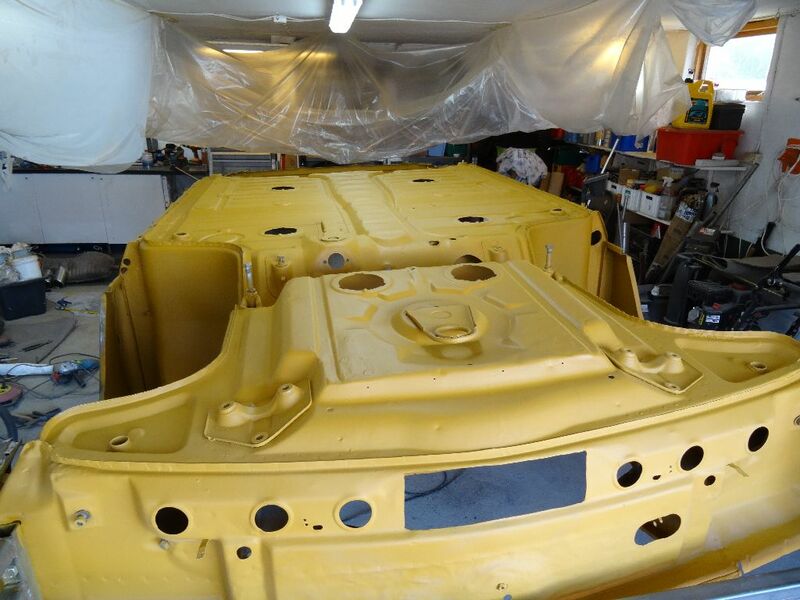 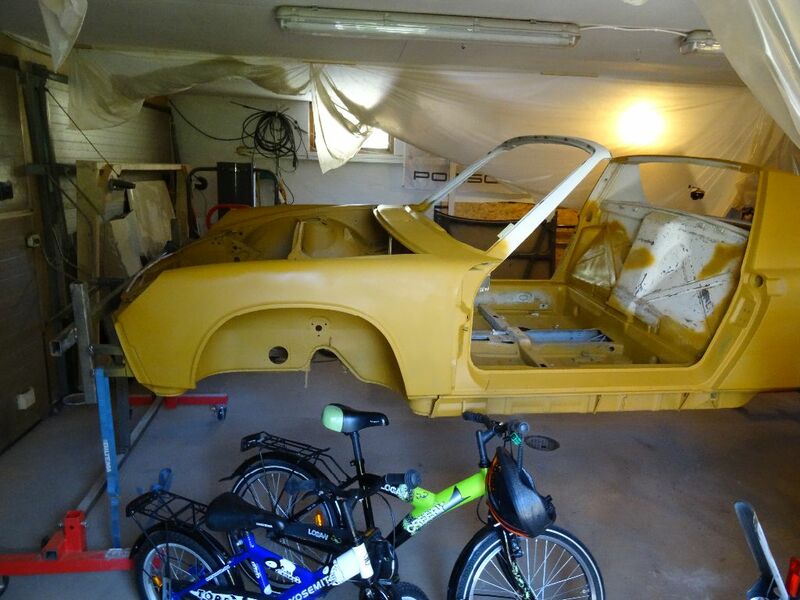 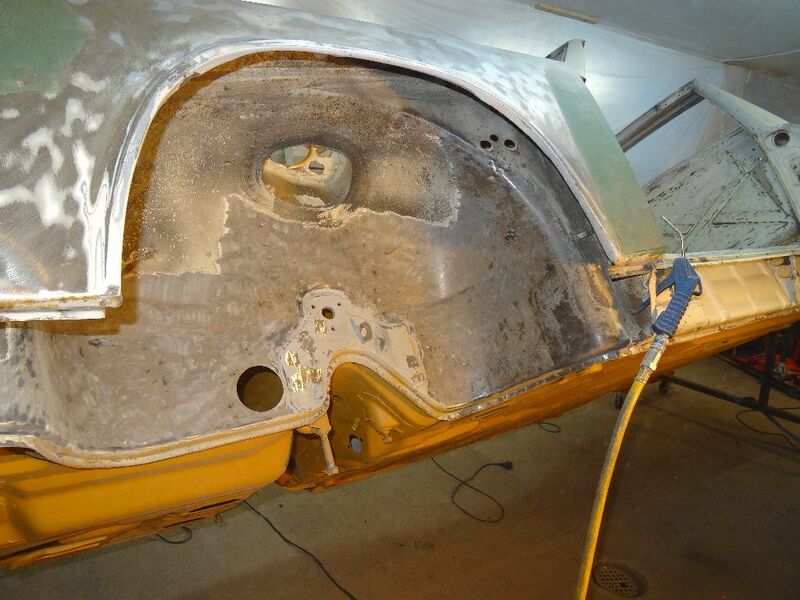 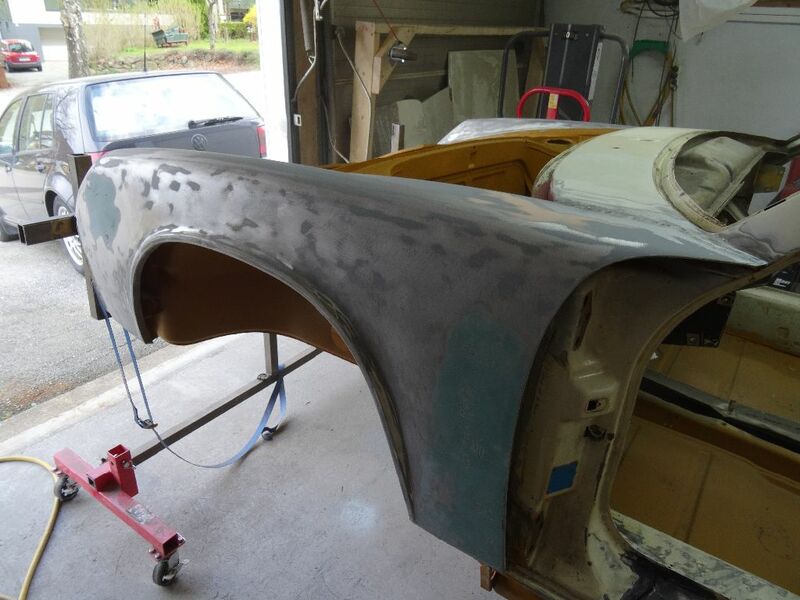 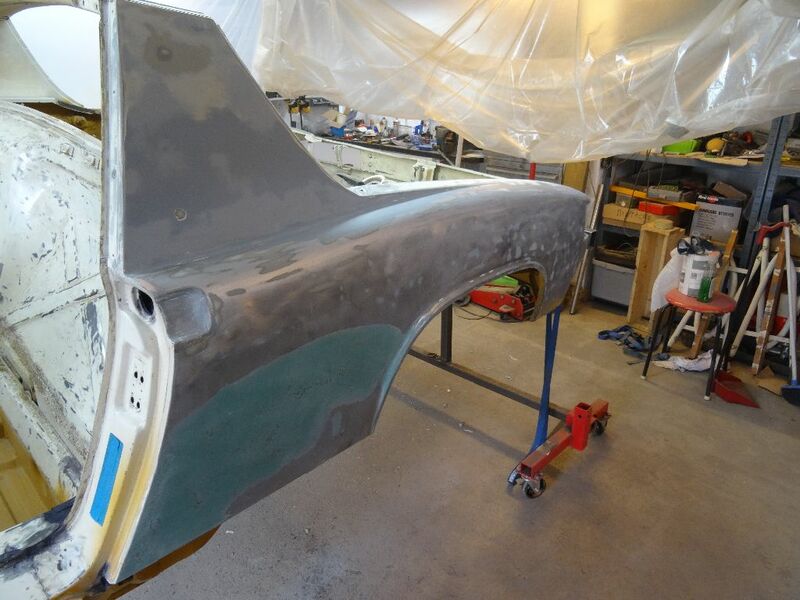 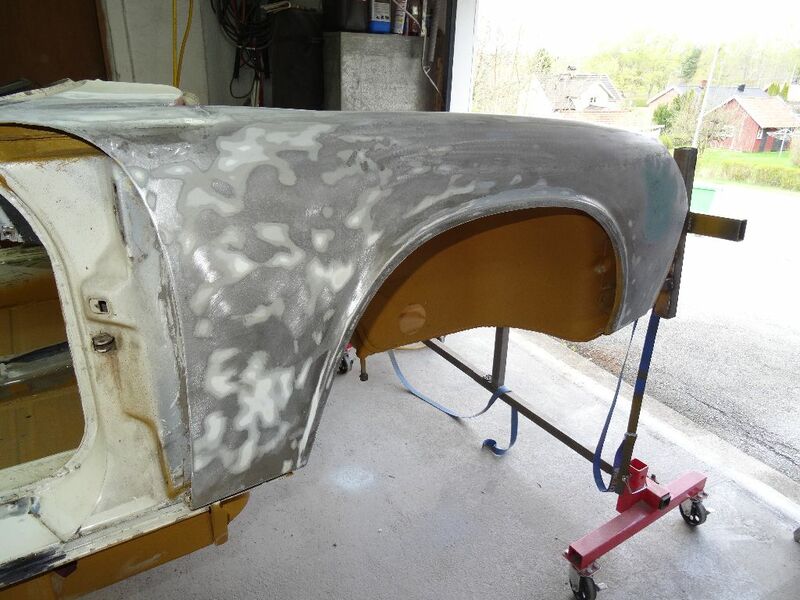 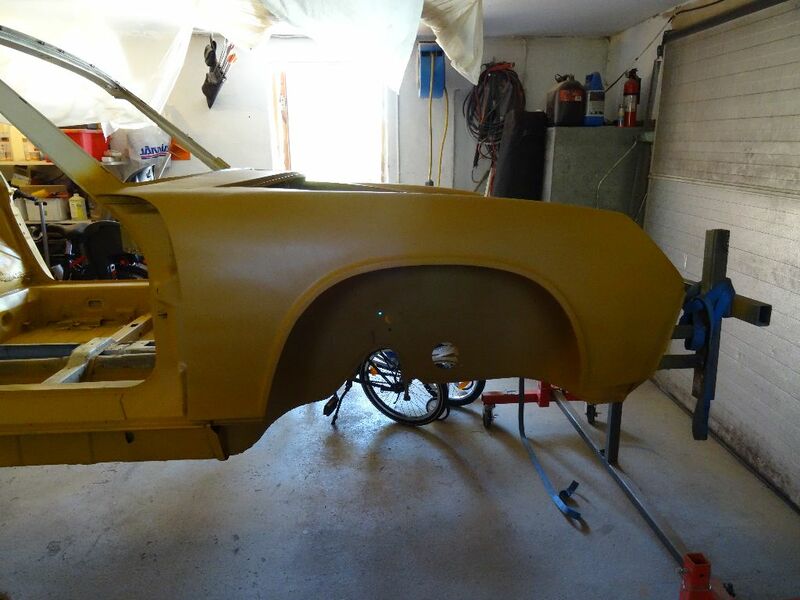 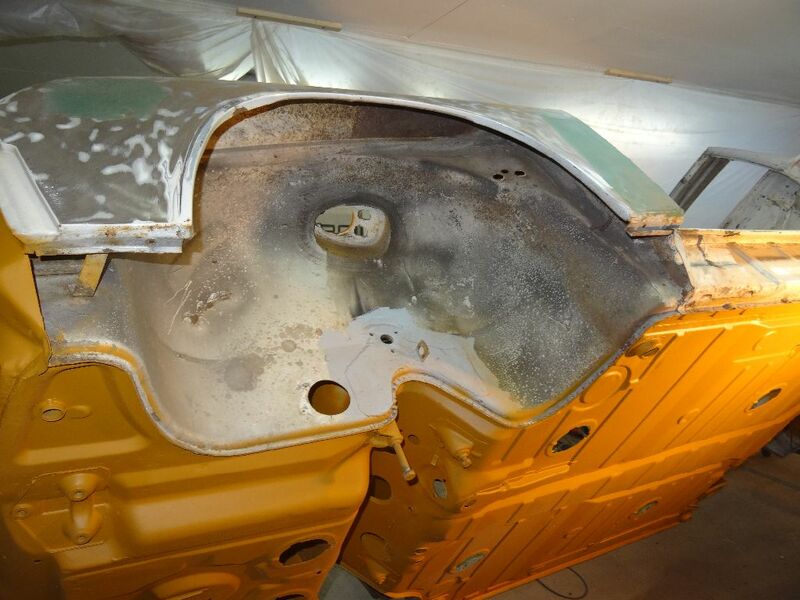 But it feels kinda nice once its done….only 3½ more to go…..
Time to start sanding down the outer fenders..
even if its an ugly mustard yellow. 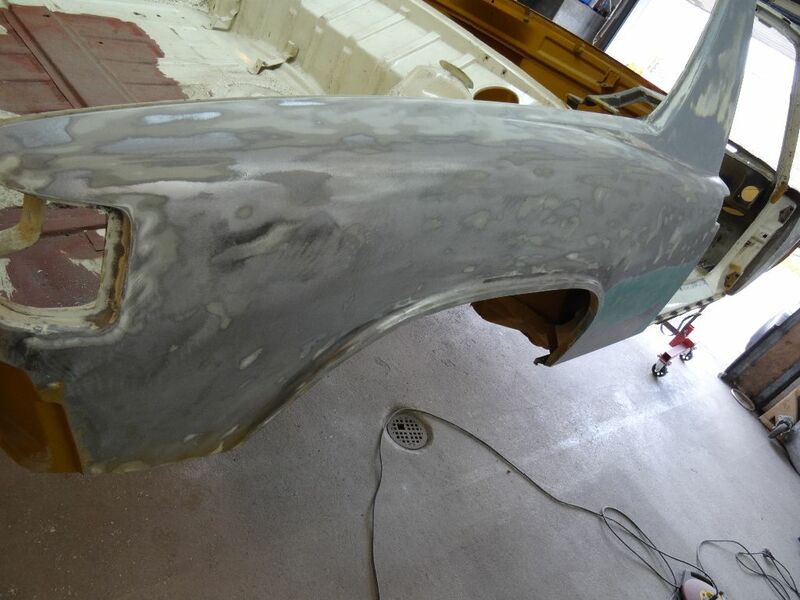 Hi Alf, No the only trick was getting the roll pin out, took some soaking with penetrating fluid and heat but after that it could be persuaded with a drift and a hammer.